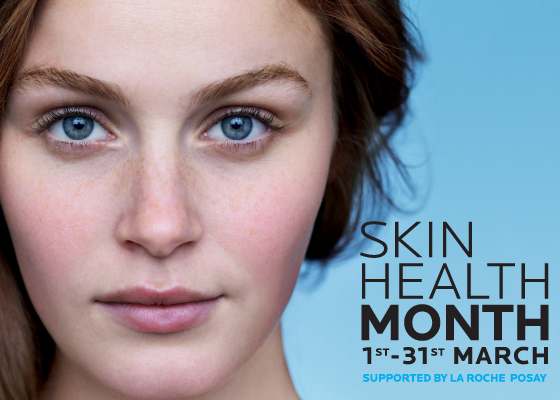 Skin Health Month is a new initiative created by La Roche Posay to raise awareness of the importance of good skin health. The La Roche-Posay skincare range is formulated with cutting-edge active ingredients, and tested by dermatologists under innovative and rigorous testing conditions. This March, all of our La Roche Posay Consultants will offer free personalised skin health consultations, where they’ll recommend a skincare regime to help soothe, treat and manage all types of skin conditions. Keep an eye on the Sam McCauley Chemist Facebook Page for details of La Roche Posay events near you. This March at Sam McCauleys, you’ll also receive a FREE La Roche Posay Sensitive Skin Wash Kit when you purchase two La Roche Posay products (1 to be a facial moisturiser).